I love the rustic simplicity of this Summer Fruit Galette. Summer is when fruit is at its freshest and… least expensive. Maybe some of you have gardens where you have an abundance of fruit growing. 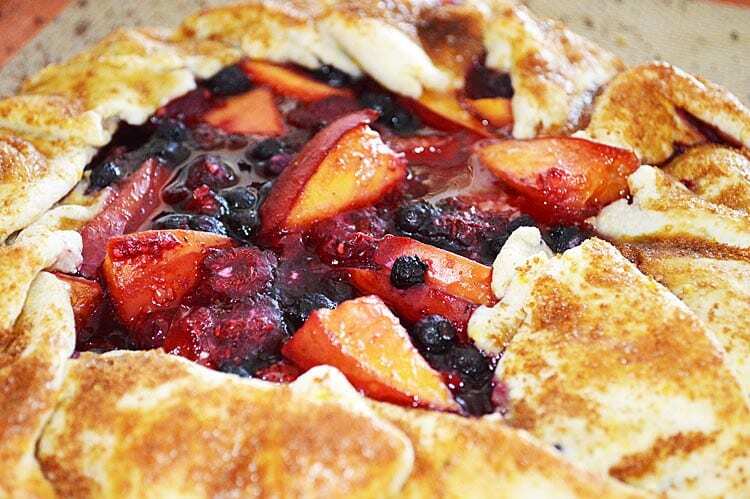 This is an easy and delicious use for that excess fruit. 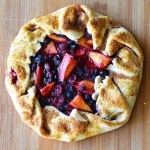 For this galette I chose peaches, raspberries and blueberries, but you could use any fruit really. Use what’s in season locally for you and of course, your favorite fruits. A sprinkle of coconut sugar gives a nice golden appearance, however any sugar will work here. We first brushed the dough with almond milk to get it to adhere. The galette crust is flour and cornmeal based. Be sure to chill the dough or it will be very hard to work with. We mascerated the fruit with a bit of lemon juice, cornstarch and coconut sugar. Allow this to sit for about 10 minutes. If it’s too juicy, add more cornstarch. You want a thicker mixture so it won’t seep out of the crust. And if it does seep out of the crust, don’t despair. This is a RUSTIC galette 🙂 Handmade should look rustic. 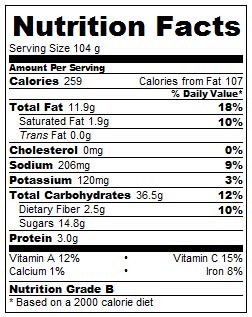 Look at all that juicy amazing fruit! To make the crust, place all dry ingredients in the bowl of a food processor and pulse a few times. Add the cold butter and pulse a few times. It should be a coarse mixture at this point and you'll still be able to see pieces of the vegan margarine. Turning on the processor, drizzle in the ice water, just until incorporated, about 30 seconds. Turn the dough out onto a piece of plastic wrap and bring into a ball. Keep working it until it comes together. Flatten into a disc and wrap with the plastic wrap. Place into the refrigerator for at least an hour. For the filling, prepare all of your fruit. Slice the peach and defrost the berries (if frozen). Wash if using fresh. Pat dry. 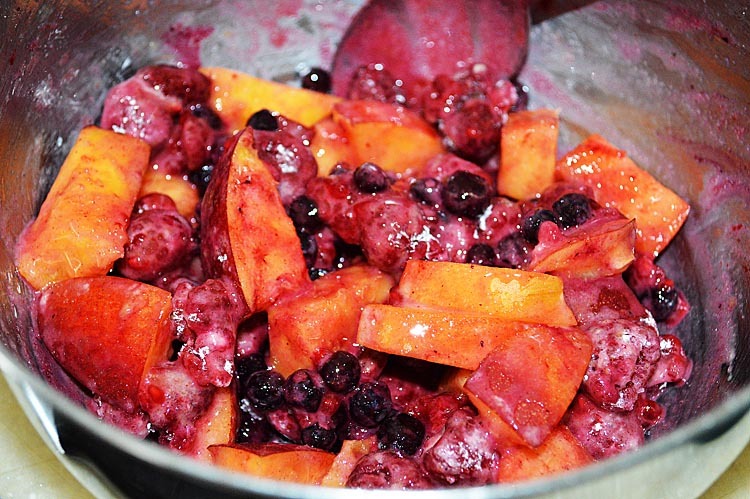 Place all of the fruit into a bowl and add the remaining ingredients. Allow to sit for 10 minutes at room temperature. You can always add more cornstarch if it seems too juicy. You want a thick mixture. On a lightly floured surface, roll out the dough, turning frequently and sprinkle the counter with more flour to keep from sticking, if needed. 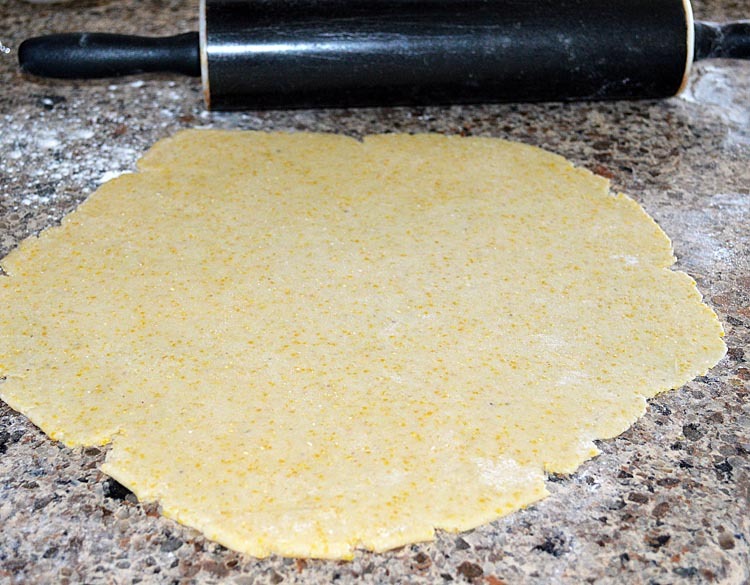 Place the round of dough onto a Silpat or parchment lined baking sheet. 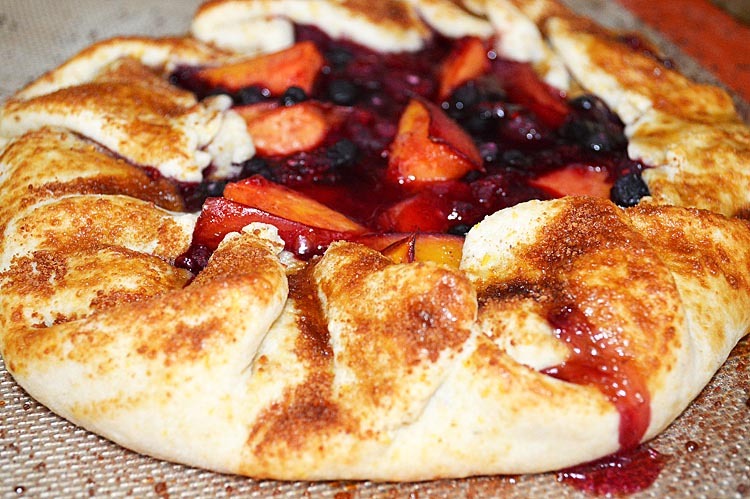 Place fruit mixture into the center of the dough round leaving about an 1" border to the edge. Fold the dough over making pleats as you go, making sure to maintain the round shape of the galette. Brush the edges of the crust with non-dairy milk and sprinkle with more coconut sugar. Bake for 40-50 minutes or until edges are golden. Cool on the pan for about 15 minutes to set. Remove to a serving plate and cut into slices. We served ours with So Delicious Vanilla Frozen Dessert! 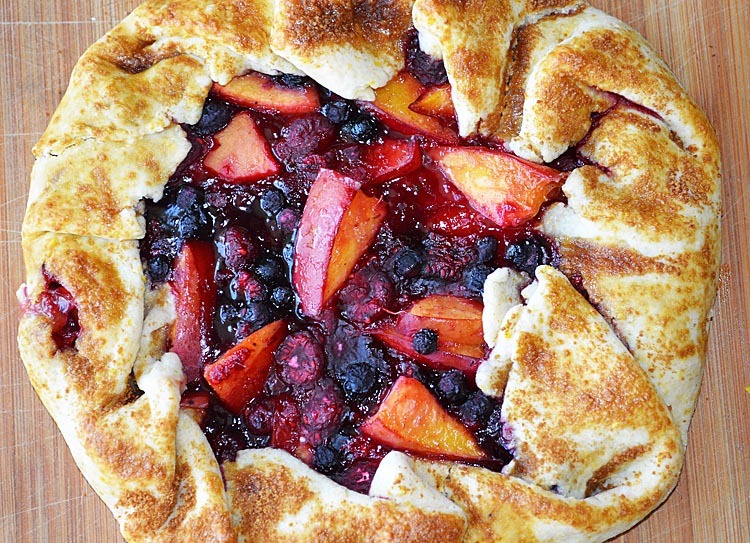 This galette serves 4 but could easily be doubled to make a larger galette.